Denis Simonneau, Director of European and International Relations of Engie (formerly GDF Suez), has been appointed new Chair of the ICC Commission on Corporate Responsibility and Anti-corruption marking the first change of chairmanship since its creation in 2010. Before joining Engie in 2009, Mr. Simonneau has had extensive experience in the French Diplomatic Service. Mr. Simonneau was Chief of staff of the French Secretary of State in charge of European Affairs, Jean-Pierre Jouyet, from July 2007 to December 2008, the period of the French presidency of the Council of the European Union. He also served as Adviser to the French Minister of European Affairs, Michel Barnier, Counsellor at the French Permanent Representation to the European Union in Brussels, and Consul General and Head of the French Trade Economic Mission, specialized in energy, in Houston, Texas. 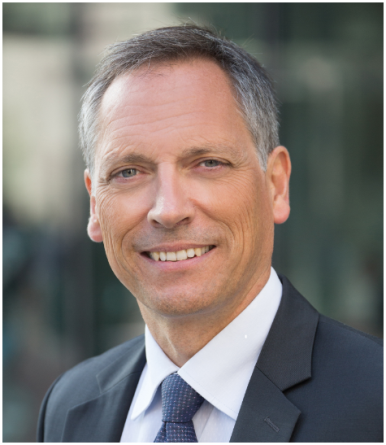 Mr. Simonneau has held his current position with Engie since May 2011, having previously held the position of Diplomatic Adviser to the Group’s Chairman and CEO and Senior Vice President for International Relations. Gathering over 300 business executives and private practitioners from 40 countries, the ICC Commission on Corporate Responsibility and Anti-corruption advances corporate responsibility and anti-corruption worldwide through advocacy and business tools. On 16 November, in the context of the implementation of the United Nations (UN) Guiding Principles on Business and Human Rights and the UN Sustainable Development Goals (SDGs), the Commission launched a business statement with nine of the world’s leading business organizations affirming that respect for human rights is a key contribution to sustainable development. For more information visit the Commission on Corporate Responsibility and Anti-corruption. To see the biography of Denis Simmoneau, click here.